Big D Landscaping is not your typical landscape design firm. Founded in 1997 and grown from seed right here in Colorado, Big D is a full-service landscaping business committed to responsibility—to our environment, our community, and our clients. We create thoughtful landscape designs fully customized to our clients’ lifestyles and budgets. We take care of every last detail to bring them to life, using only the most sustainable practices and as often as practical, native plants. Our goal at Big D Landscaping is to make an impact on our clients’ landscapes and thus their lives. With our creativity and our lifelong passion for landscapes, the work we do is unique, beautiful, transformative, and grounded by years of local landscaping experience. At Big D we see an un-landscaped yard as a blank canvas. 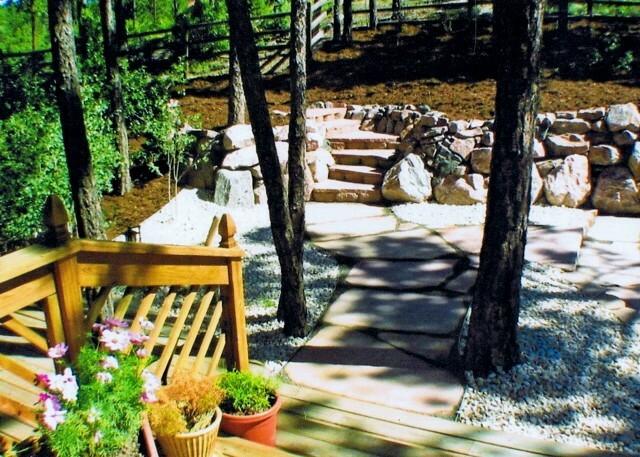 It actually brings us joy to visualize a yard that is just waiting for us to landscape or hardscape. Our policy is to take a project as it is. Sometimes clients come to us with a project that is half finished or a project that needs some tweaking here and there. This is all a part of the process for us. A self-professed plant nerd, dog lover, and outdoor enthusiast, Dennis loves working with clients to create thoughtful landscapes that enhance their lifestyles—and make Colorado’s green spaces even more beautiful and sustainable for the future. With Dennis’ love for the outdoors, he truly enjoys every opportunity to create a unique design in each individual landscape. Dennis is dedicated to your satisfaction and strives to provide the highest level of quality and service.